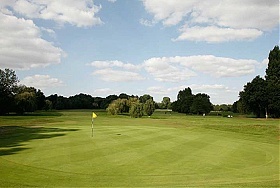 The Old King’s Golf Club is an active and thriving society, which meets 7 or more times a year at various clubs around London and Surrey e.g. Royal Wimbledon and Malden. 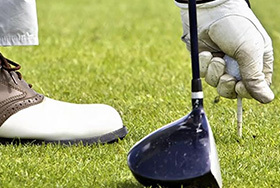 OK golfers of all handicaps and ages are welcomed. 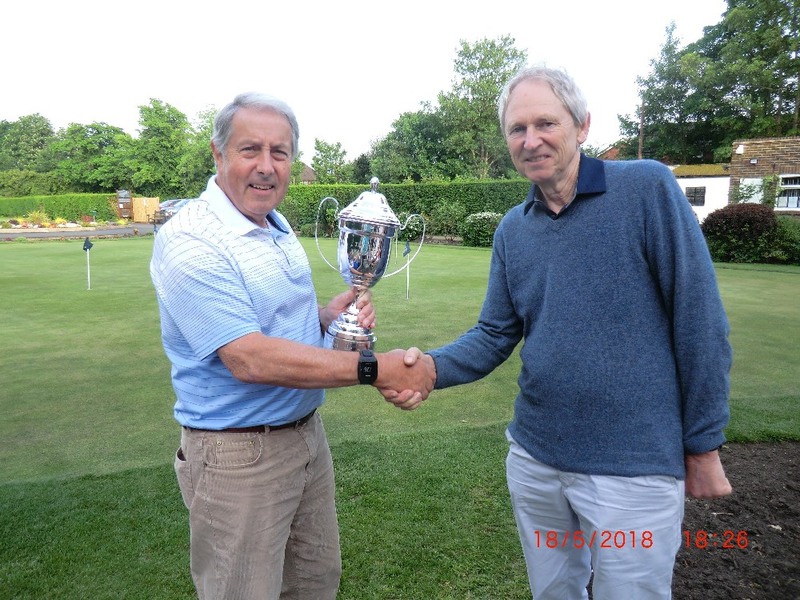 It organises a number of matches during the year against Old Boys from other schools, which are played off handicap in teams of 10 and are hotly contested but are also great fun. 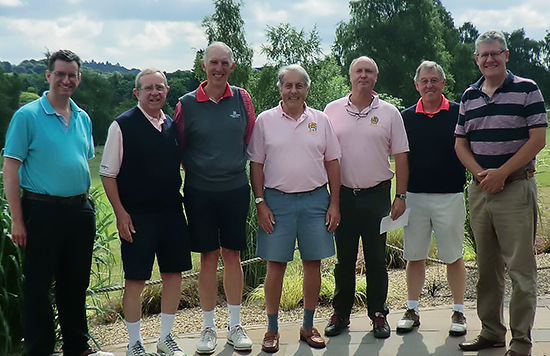 Each year we compete in the Surrey Schools Old Boys Golf competition played against teams from twelve Surrey Schools, which we won in 2011. 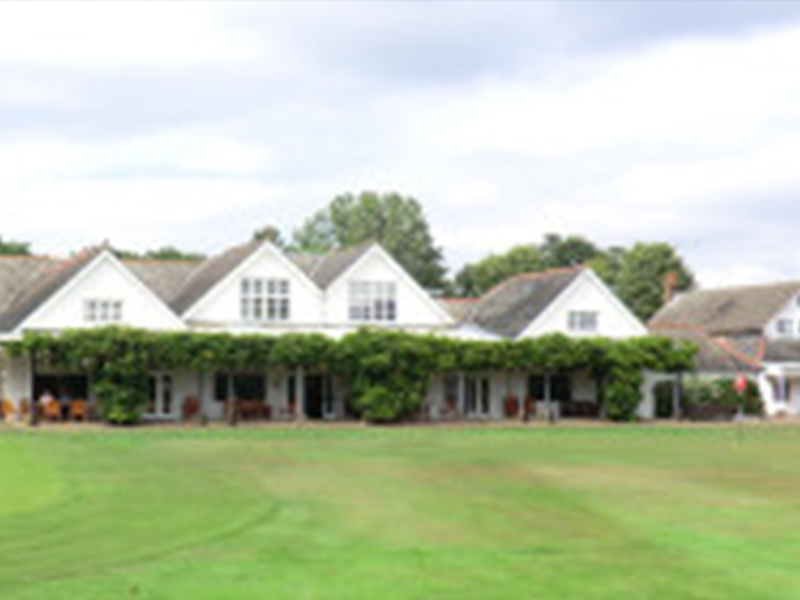 In addition the Club is represented at a scratch level in the Grafton Morrish Tournament – the National Tournament for nearly 120 schools. We field a team of six players in a qualifying event in the spring. 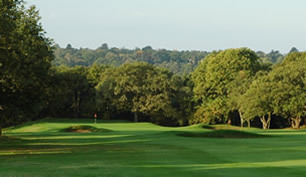 The top 48 schools then go through to the National Finals, held each year at Hunstanton and Royal West Norfolk in the autumn. 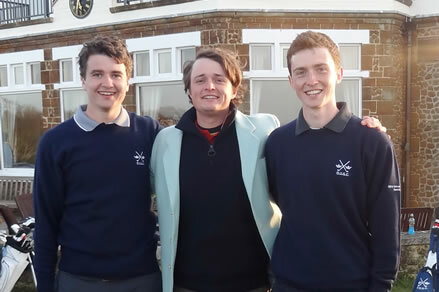 In 2013 the Club was represented in the Varsity Match at Royal St George’s G C, Sandwich by three players (see photo): Matt Reynolds and Alex Gems, Secretary and Captain of Oxford University G C and Alex Silver, Captain of Cambridge U G C.
The Old King’s Golf Club aims to stimulate golfing interest at all standards of golf and would be delighted to welcome you.